When he goes to the doctor for his annual checkup, Andy Vachon can easily get his blood drawn and checked right there. But he opts to go elsewhere. If he drives a few extra miles for those tests, at a less expensive lab, he gets a perk — a $25 check from his employer. If Vachon needs an MRI, a colonoscopy, or certain kinds of surgery, the reward for using a lower-cost facility could be even bigger — as much as $250 or $500. The price of common medical services can vary sharply from one hospital or clinic to the next, and often without measurable differences in quality. So in an effort to tackle growing costs, many employers and insurers are now paying patients to shop around. When patients choose less expensive facilities — potentially saving the companies that pay the bulk of their health care costs hundreds or thousands of dollars — they get a check in the mail. Such rewards programs are quickly gaining popularity across the country. Every major health insurer in Massachusetts offers a rewards program, or is preparing to launch one, and several large employers in the state are now paying employees to shop for some of their health care needs. But many health care providers still resist the idea, preferring to keep patients in set networks; they argue that it’s harder to coordinate care when patients split their medical needs among different provider systems. Additionally, new research indicates that rewards programs appear to have a modest effect on overall costs. A study published in Health Affairs last month, which examined cash rewards programs at more than two dozen employers, found a 2.1 percent drop in the prices paid for medical services. Cash rewards programs are designed for people with private health coverage, not for those covered by Medicare or Medicaid. They cover scores of non-emergency medical services such as MRIs, mammograms, colonoscopies, lab services, infusion therapy, physical therapy, and some surgeries. Patients can pocket some extra cash through these programs, but they still have to pay deductibles and other out-of-pocket costs for medical care; the amount varies across different health plans. The success of these programs depends on whether patients know they exist, if they buy into the idea of comparison-shopping for health care, and if they take the time to actually shop. Patients have to check a website or call a phone number to find lower-cost facilities and apply for rewards. This extra step could feel like a burden to someone already worried about an illness or injury. But officials at Sapphire Digital, a New Jersey-based company that runs an incentive program called SmartShopper, said they try to simplify the process. They have “personal assistants” who help reschedule appointments for patients seeking lower-cost facilities. About 3.5 million Americans now have access to the SmartShopper program through their employers or insurers. People who used the program last year collectively pocketed $2.9 million in cash rewards in 2018 — while their employers saved $18 million on health care costs, according to Sapphire Digital. “Health plans save money, consumers save money. The only people who get hurt in this is the high-priced provider,” said Heyward Donigan, chief executive of the company, which was formerly called Vitals. But competing forces are at play: Doctors and hospital systems generally don’t like patients shopping around for tests and procedures based only on price. Doctors who work for large health systems are encouraged to keep patients within those systems and prevent what is known as “leakage” — when a patient goes to a competing provider. Also, electronic health record programs vary from one system to the next, and sharing records across different systems can be cumbersome. Dr. Barbara Spivak, president of a 500-doctor group affiliated with Mount Auburn Hospital in Cambridge, said she worries that care could become too fragmented if patients don’t stay within a certain health system. “It’s incredibly helpful for me when patients keep their care within a system where I have access to all the records,” said Spivak, a primary care physician. “It makes it much easier to communicate with a specialist. I know exactly what the specialist is doing. If I have a concern about an X-ray, I can call the radiologist and get their opinion. Dr. James Brink, chief of radiology at Massachusetts General Hospital — one of the most prestigious and most expensive hospitals in the state — warned that not all imaging centers offer the same quality and expertise. “As a consumer, I’m sensitive to looking for the best bargains for any products we purchase. My advice is: Buyer beware,” Brink said. The price of an imaging test can vary significantly from one facility to another. A recent analysis of state health care data by the Pioneer Institute, a free-market-oriented think tank, found that an MRI of the knee cost $609 at Brockton Hospital, $744 at Lahey Hospital and Medical Center, and $987 at Mass. General. Patients paid some of these costs out of pocket, while insurers paid the rest. Shields Health Care Group, which runs standalone imaging centers across Massachusetts, charges less for an MRI than many hospitals. But chief executive Thomas A. Shields said he has yet to see an uptick in business as a result of health care shopping rewards programs. For years, policy experts and public officials have called for greater transparency in health care and have urged patients to be price-conscious consumers of services. Massachusetts insurers are already required to put cost estimates online, and the state also operates a health costs website, but these sites are not widely used. If cash rewards are involved, patients may be more interested in learning about costs. 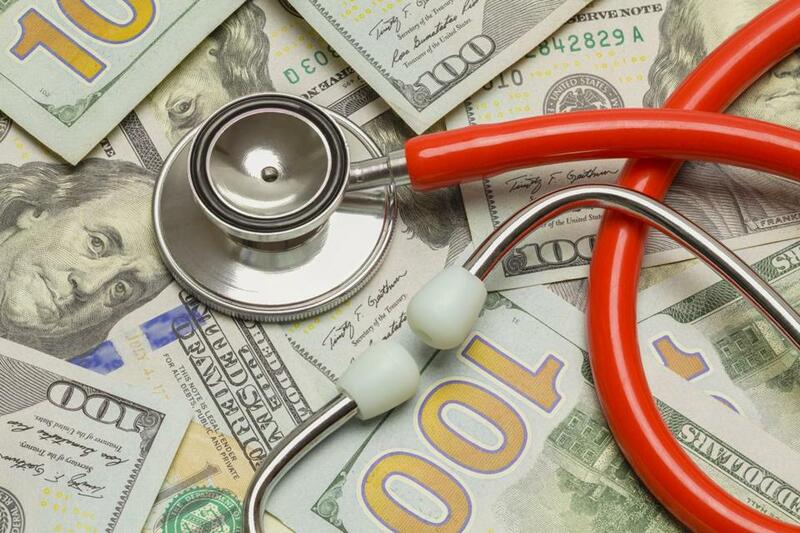 “The value is in engaging the members in these cost transparency tools and them becoming better health care consumers,” said Gregory LeGrow, director of network innovation at Blue Cross Blue Shield of Massachusetts, which began offering cash rewards last year. But several insurers declined to explain whether their rewards programs are helping to reduce costs, or they said it was too soon to provide such figures. Worcester-based Fallon Health said only 4 percent of its eligible members take advantage of its rewards program. Fallon has paid more than 1,300 incentives and saved about half a million dollars since launching its rewards program in 2014. Health care bargain hunting is more common in Manchester, N.H., where the city has paid rewards to employees for about a decade. City officials said they saved about $404,000 while distributing about $43,000 in rewards last year. Over time, Massachusetts employers could see similar results as cash rewards become more common, but it’s too soon to tell.